In times like this, when it seems we are overworking ourselves; when many around us are dropping out due to pressure or one excuse or the other. At times like this, when the fight has become fiercely dangerous, the tendency of lukewarmness sets in. As comrades in the warfront, we never know what to expect or whom to trust anymore as trust and commitment levels wane. The Paramount questions I need to ask us remains; why give up on the conquest when the race is still on? 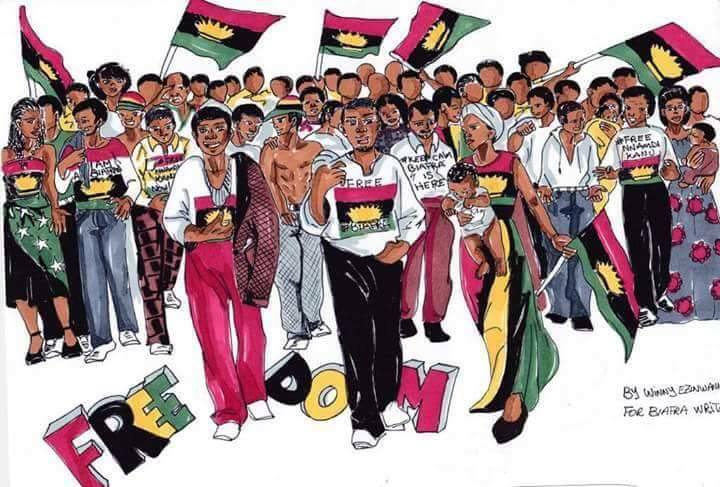 What motivated us to lay our hands on the plough and raise the Biafran banner and flag, only for some to start looking back? What will be the usefulness of coming this far and like Judas Iscariot drop out to betray the trust embedded in us? Has any saboteur gained from sabotage so far? If we get out of the race, will Nigeria make her unconducive environment accommodating for us? Will the Nigerian government recognize and upgrade our poor status and living standards? Will those who died in the struggle look back and say well done? The questions goes on and on. It is therefore expedient that we sit back and recount our efforts and contributions in this struggle, then ask ourselves if we have done enough and if our enough is enough or has helped us achieve our goal, the birth of Biafra. We really need to question our minds and make our decisions to follow our minds than various discouraging posts being made to put confusion in our midst. The only aim of the enemies is to quench our zeal and kill our faith and destroy our faith. When you were swearing your oath of allegiance, did you seek any opinions or permission? When you have to choose between hellish Nigeria and heavenly Biafra, will they help you make your choice? This is food for thought! In the meantime, I have resolved that until Biafra comes, my quest is still on. I have accepted that the cross is a must until freedom becomes my cost. I am resolved in my decision to keep on racing, struggling and fighting until Biafra rides in and smile in her sun as it rises from the East again. Who will walk with me? Who else will reach out to take her birth ? No matter your status, age or contributions, it is little drops of water that will make our mighty Biafra. Resurrect your affections and re-energize for the climb. In a short while, we will smile down at defeat and betrayals from Biafra's mountaintop.